New enhancements to help you design and build your dream Home. 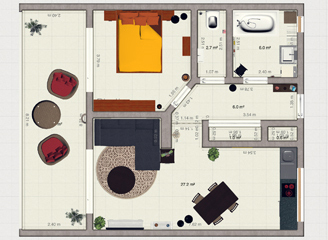 Keyplan 3D is more than ever the best App for Interior & 3D plan Design around there. New repair system to allow corrupted saved plan to be loaded again. Rare case fixed when a hidden wall was not saved correctly. New buttons to help move walls and walls corners very easily. Saving plans after undo and redo is now fixed. ← App Version 1.0.9 published. Share your 3D plan directly by mail !